Pests can cause real harm to the structure and livability of your home itself. It may even affect the health of your family and pets. Contact us today to eradicate these pests, once and for all. We are your locally owned & operated pest control guys, serving Albuquerque and surrounding areas. Give us a call at (505) 900-1322 or click the button below to contact us. Are pests, bugs or rodents invading your home or business? 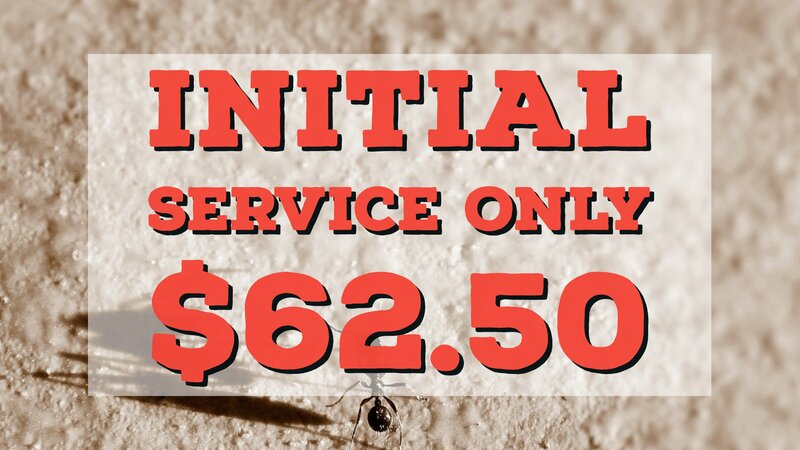 Are you looking for the best exterminator and pest control service in the Albuquerque NM area? If so, look no further! The team at Essential Pest Management can help you get rid of those pests once and for all and ensure that they don’t come back. We live in Albuquerque, so pests are a fact of life. Spiders, scorpions, rodents, and other vermin – they are little more than opportunists, and you may not even know that you are unwittingly inviting them to set up camp under your roof. Let’s face it, no matter how clean and tidy we keep our homes or our work spaces, those pests seem to always find a way in. That’s why it’s doubly important to hire a professional exterminator, someone who can get rid of the problem and make sure that everything possible is done to prevent it from happening again. If you have pests of any kind, pick up the phone and call Essential Pest Management today. We will do everything we can to evict those pesky intruders once and for all – and keep them from coming back. Your home is your sanctuary. But when invaders like rodents, bugs, and other pests decide to take up residence, it can feel like your castle is being invaded by the conquering hordes! Waging war with pests is what we do, and we do it well. We know exactly where to find those pesky critters and how to get rid of them, safely, humanely, and best of all, effectively. We eliminate all kinds of pests, from flying and crawling insects to spiders, scorpions, ticks, fleas, bedbugs, and more. We treat both the interiors and exteriors of your home to ensure that those pests are not encouraged to return, but if they do, we will continue to come back and treat the area of infestation until they are really and truly gone. When you have a pest problem in Albuquerque, you need it gone, and fast! We will come to your location to assess your needs right away – often the same day you make the call. We know how important it is to feel like you are in control of your environment, so we always go the extra mile to make sure you know that we take your safety and comfort seriously. So, don’t hesitate: call us right away so we can get your pest problem solved. Inside your home, there are all kinds of cracks and crevices where pests can hide. Once we eliminate the pests from your home, we will treat all of those areas to ensure that pests won’t return. The initial treatment will eliminate the existing pests while subsequent treatments will help prevent a re-infestation. All kinds of pests can take up residence inside your home or business, but one thing is almost certain: they came from outside. Exterior pest control is an important part of the pest control process as it ensures that those invaders do not get back in. We do this by blocking cracks in door frames, walls, windows, baseboards, foundations, and roof joints, creating a barrier that pests cannot or will not cross. Your home is your sanctuary, your castle. It should be a safe haven for you and your family, so the last thing you need is pests and rodent problems getting in the way of your comfort. Some pests can cause real harm to the structure and livability of the home itself and may even affect the health of your loved ones and pets. To ensure your family’s health, security, and comfort, it is absolutely essential to eradicate these pests. Once they are gone, however, the job isn’t over: you must ensure that they don’t come back. To provide you with the ultimate peace of mind, we inspect every inch of your house, inside and out, to ensure that those pesky bugs and rodents won’t find their way back into your home. Call us today at (505) 900-1322 to schedule your pest inspection. Our Albuquerque technicians are fully trained in the latest cutting-edge pest control techniques and solutions. We offer one-time or routine maintenance plans that can be customized to your exact needs and requirements. We take a holistic approach to pest control and extermination, providing you with highly detailed site inspections that offer a complete overview of current and potential issues while outlining a plan of action to get to the bottom of it.